After writing my series on Disney and Diabetes, both our youngest and oldest daughter were inspired to write up their own version of tips at the parks. For your viewing pleasure and because ultimately, nothing makes me happier to see my kids using their 'school skills', here is our youngest daughter's tidbits for Walt Disney World.﻿ Hope you enjoy! Roller coasters: When you are at Magic Kingdom you should always visit the rides first because the roller coasters gets busy fast. I would recommend Splash Mountain if you can handle it. The drop is really fun but still really scary. Splash Mountain is located in Frontier Land. If you are one of those old people or young toddlers you should stick to a small ride such as the Great Goofini. It is a short but fun ride. Also get fast passes to go on the rides faster. They help if you are getting hot or getting bored in line. Eating: For the old men, you should go to the food places at Magic Kingdom and eat your way back to the ladies that are shopping for cute things. If you are really hungry go to Epcot they have really good food. Magic Kingdom has a couple good restaurants, like Pecos Bill. It is located in Frontier land. Shopping: Your kids are probably begging to go shopping or maybe you are too but now when you take a step into Magic Kingdom you can really feel the magic. When you are here you may go shopping at Castle Couture. It is a very cute store here in Magic Kingdom. It will put the sparkle on you. Having fun: Where ever you go and where ever you are you should always have some fun. Remember to do most of these steps and to always have some fun. Youngest daughter is the lucky recipient of two auto-immune diseases; type 1 diabetes AND Hashimotos Hypothyroid. You can read a little bit more about her experience with Hashimotos here. For the most part, neither diagnosis holds her back from enjoying all that life has to offer. There are though, the days when one or the other disease causes a little too much grief. If we can't rule out high or low blood sugars as a culprit, we often will turn to a blood draw for some investigation on her hormone levels. What is most interesting about her hypothyroid diagnosis is how often her thyroid hormone levels will fluctuate, causing discreet symptoms to flare and reappear. This is not necessarily the case with many children that have Hashimotos. In fact, one of our dear friends has children that rarely have dosage changes, so in that regard, it is very different from patient to patient. I also find it interesting that my oldest daughter has perfect thyroid levels and even three years post diagnosis continues to be in range at every check. Like type 1 diabetes does not necessarily develop in every person with a genetic connection, neither does Hashimotos. Youngest daughter's chief complaint is, and always has been, leg pain. As a mother, nothing is worse than seeing your child tear up from feeling aches and having absolutely no way to make them go away, even with warm baths, ibuprofen and other miscellaneous attempts to calm her. The only true way to discover what is going on is through labwork where her TSH, T3, T4 and Free T3, T4 are carefully reviewed. For as much as our youngest daughter hates blood work, when she is feeling her leg pain, she will practically volunteer for the poke. Can I just say how sad that is for a nine-year old? Sigh. Once again at our recent pediatric endocrinologist appointment, both youngest daughter and I mentioned a few of the random symptoms that she had been feeling. Headaches and leg pain topped the list - with youngest daughter sharing that during her dance class, the pain was so strong that she couldn't even stand on one leg during the barre exercises. Hearing a child talk so openly and candidly about her situation is certainly a compelling reason to head into the nearest lab to check TSH levels. Which we did, immediately upon receiving our blood draw script. And sure enough... TSH had elevated just a tiny bit from 3.00 to 3.50. This small jump is enough to cause symptoms to flare in many individuals. It also completely validated youngest daughter's worries as with her symptoms, you can not actually see anything with the naked eye - except maybe an enlarged gland (goiter) but that would be from very high levels of TSH. A tiny bit of an increase in her Levothyroxin will eventually, (as it does take about six weeks to build up in her system) help decrease her symptoms. Not to mention that if we waited, with all of her impending growth, we could find ourselves dealing with a much bigger problem in 3 more months - and a much unhappier child. Like I have mentioned before, this is just one pill a day. That's all that is required for her to continue being a happy kid. While I wish she didn't have 'one more thing', I am so glad that we can help her to to solve this and I am also so glad that she will be back to feeling like any other healthy 9-year old should! One part of my daughters' visit to our endocrinologist includes a foot exam. While this is a consistent part of our endocrinology appointment, some pediatric endocrinologists never even look at the feet. Because of this discrepancy in routine, I thought it might be a good idea to put a little reminder of what to look for on the Naturallysweetsisters.com blog. I also want to add that my girls love having at-home-pedicures, so for all of those moms of daughters living with type 1 diabetes, this is a great way to carefully look over the piggies AND make them as cute as can be. Bonus for our female endocrinologist that gets a kick out of seeing what colors and fashions that the girls are wearing:) Yes, it is the little things that often make the long appointments fun! Another part of my daughters' visit to the endocrinologist always includes a reminder to have another appointment for annual vision screening at our friendly Ophthalmologist office. Over the years, I have adjusted the dates so that the annual visit occurs in the summer, when our schedule is at its most lazy (if that is even possible!). It helps to take a little bit of the stress out of having to have just one more appointment. After all, to my girls, it seems that we are constantly at the "doctors" office. But to make that appointment happen, I have plan ahead as appointments for diabetic eye screening usually are more comprehensive and tend to take a little bit longer. If you are between 10 and 29 years old and have had diabetes for at least 5 years, you should have an annual dilated eye exam. - Side note: Our endocrinologist recommended this as soon as both girls were diagnosed in an effort to get a baseline to work from. Your endo may have a different idea. It is great to discuss and decide what to do together. After you receive the eye screening results, another good reminder is to either have the Ophthalmologist fax a copy directly to your endocrinologist or make you an extra copy to bring along to your next appointment. 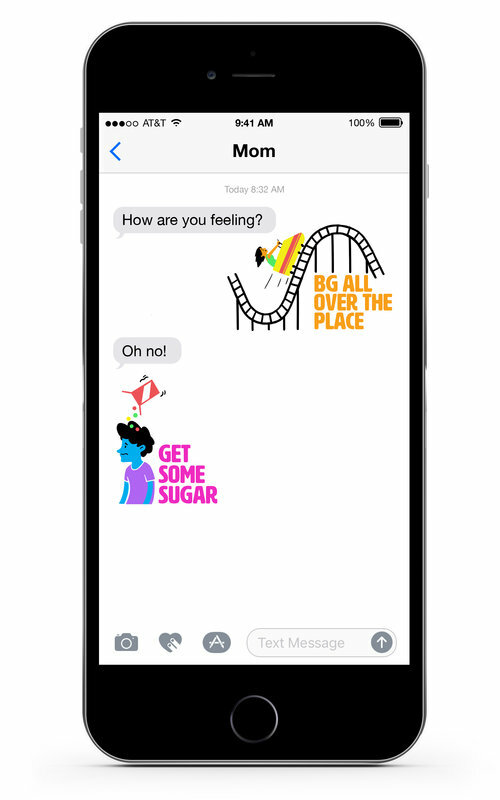 By keeping this communication, you will be able to ensure that all caregivers are up to date on the latest developments and able to thwart any potential problems quickly and easily! If you live in Michigan and you have a child that is living with type 1 diabetes, that you may qualify for Children Special Health Care Services? Or call the CSHCS Family Phone Line at 1-800-359-3722 to see if you qualify. In the spirit of talking candidly and openly about type 1 diabetes and our family, I decided to tell you a little bit of the story that happened during our A1c appointment. Remember my happy Facebook announcement that our endocrinology department was adding forms to their online document center? Well, as joyfully happy as could be, I quickly downloaded two sets of the forms, printed and completed them in advance of our appointment. (As a side note, we usually receive the forms upon check-in and am given about five minutes to race through them before being called back. x2. Yes, a huge stressor.) Seeing the option to print them out ahead of time and complete them in the luxury of my own home was like having a dream come true. With that extra bit of happiness in my pocket, the four of us checked into the main floor and happily waited to be called back - with me feeling as relaxed as I have ever felt at the start of the appointment. In the usual five minutes, we were escorted to the vitals area and the girls were both weighed and measured. A short time later, we were in the room where we would remain throughout our visit - a nice little four chair villa, without a view! A1c and blood sugar checks were completed and then, a nurse that we had been introduced to but not really "met" came into our room. Now here is the thing. I am always prepared for these appointments. This appointment, maybe even more so due to having completed the forms at home. I had our log books with print-outs from our Animas Ping pumps (full color, my friends!) and every blood sugar from the past two weeks. I had changes that I made throughout the quarter and information on scripts ready to go. All of this fine documentation is housed in three ring binders, neatly collated and with identification from each child. The new (er) nurse started to open the binder and remove only the forms from the hospital's website. I stopped her and explained that everything she would need was actually in that binder and she would want to give that to our endo. She sighed loudly and put the papers back into the flap on the binder and walked out. I wiggled my eyes at my husband to see if he noticed anything and he wiggled his back. The vibe from the nurse was strange and almost immediately, we felt a little uncomfortable. Shaking it off and talking to my silly kids, I thought maybe it was just something in that moment. A few minutes more and the newer nurse comes back in and is obviously agitated. She is holding the print-outs from the hospital website and says that I didn't fill them out correctly as there is no total daily basal rate on the form. I shook my head no and explained that I did notice that was missing from the form, so instead I wrote it on another space and also marked it in the binder as to show the corresponding data. She sighed again and became even more upset and said, "Well, I didn't bring the binder with me. I guess I will have to go back and get that to look. You have to show me it." Now at this point, I am barely able to look around the room. My cheeks are flushed and I am feeling very uncomfortable. It was as though I was being scolded for doing my homework incorrectly. However, I have no time to think about it because she is quickly back in the room and demanding to know what I wrote for basal rates and where it was located on our sheets. I point out what I referred to and she shakes her head again and says this is not what she wanted. She needed FIVE days. Besides that she tells me that she wants different basal rates - not what we actually gave our children through the pump, but what the pump is programmed to give them. I have no idea what she means and I say that. The nurse gets very angry and tells me that I am going to have to add up every basal rate by hour because she is NOT going to do that. She says that I need to figure it out in our pump and that she doesn't know anything about Animas pumps. She tells me to take the pumps off the girls - RIGHT NOW! - and start looking. My husband jumps up from his seat and starts frantically looking through the binder. I don't know what to do, so I walk over to the girls and ask for their pumps. They are confused and it takes them a moment to realize that I really need to see their pumps. They disconnect and hand them over so that I can also frantically scroll through the settings to see what this nurse is talking about. All the while she is talking loudly and strongly about us being "wrong about the basal rates". Then finally, she sees a screen that has the number she wants (for anyone with an Animas Pump it is a number at the top of Basal Rate Settings). Here is the kicker.... the rates that I gave her were something like 8.189 for youngest daughter (actual) while the rate in the pump was set for (8.200). Are you kidding me? She never said anything after that - just walked off in a huff and taking my binders with her. My husband and I sat there staring at each other, almost forgetting that our daughters were in the room and saying, "What a b&*$^!" My hands were shaking, my heart was pounding and my eyes were wide as could be. I couldn't fathom why anyone would act that way.... over a basal rate? When she came back into the room with the binders, I spoke her name and said that after her behavior to us, that I did not think she was welcome in our room anymore and would she please leave. Never before (we are talking over six years of T1d care at this clinic) have I ever felt the need to say that to anyone. Not once. We continued on with the appointment and I know the office staff was probably thinking it was a mutual problem and consoling her (later heard that she was indeed very upset too) but I stay strong in my knowledge that we did absolutely nothing to become the target of her rage at not having the right basal rate. We simply were at the right place and at the right time for her to let off some pent up anger. In front of my children, though? That stinks, I know. But we are all human beings and NONE OF US are perfect. Not me, my husband or my daughters, that is for certain. However, since my daughters were witness to seeing her anger and were also watching my reaction (intently as only children can do), I had to make ammends before we left the office. As we walked out of our room and as we entered the exiting reception area, the new nurse caught up with us and nervously handed the girls a print-out on the revised food pyramid. She didn't meet my gaze or say anything to my husband or I. Instead, after she finished talking to the girls (who were obviously scared of her and didn't say a peep while she talked), I asked if I could speak with her privately in the hallway. She agreed and I told her that I was disappointed with the way things were handled by her and I asked her to leave our room because the hospital has become our home away from home. In dealing with diabetes, this is our life, I explained. It was not ok to make any of us feel badly for trying to take care of our children or for not understanding what or why she wanted something and if she was making them or us feel uncomfortable, than she should not be there. We didn't have time for that. The nurse was crying and telling me that she didn't even realize that she came across that way. She said she didn't mean to be harsh or anything like that. The tears were flowing and I felt so bad for her.... in a way that I would for anyone who is obviously struggling with something big - and I don't honestly think it was me, our family or basal rates. Her anger came from something much bigger than probably anyone will ever know and that is just.... well, sad. I told her that I wasn't going to hold onto any resentment and that I wasn't mad at her. In fact, I explained how she could try again with us in three more months because we would be back with our diabetes. I just hoped that she wouldn't be angry or upset when we saw her. She agreed and I offered her a hug - which she took. The thing about living with a disease for this long is that you kind of forget what you go to these appointments for. I think that might be a dangerous thought to have... because really, at the end of the day, our family needs the advice, encouragement and strength to get through another 3 months. What we don't need is unkindness. You asked for it and so we delivered it! NaturallySweetSisters.com has a new sticky topic on the homepage with all of the corresponding links to the Walt Disney World Series. You can click here to view it anytime you want without having to google search or scroll back through the old pages. And as a side note, I want to tell your how much I have loved hearing from you regarding your love of Walt Disney World too. Your feedback has been delightful and inspiring to me too! Thank you for all of your support and encouragement to keep writing!!! On another blog that I co-moderate on BabyCenter.com for parents of children with diabetes, a fellow mom and friend, Tracy, posted an update on her family's life. 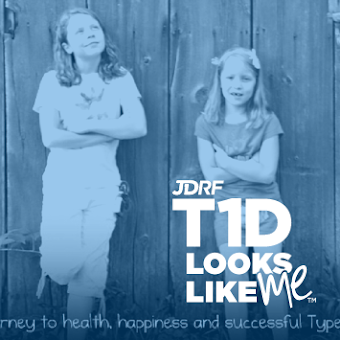 Reaching a new 2 year milestone, she shared how her family is now thriving and how they view type 1 diabetes today. I was so moved by the story, that I asked for her permission to post it here on Naturally Sweet Sisters. She graciously agreed and so, without further ado, here is her update in her own words. Wow! I can hardly believe that it has been 2 years since our life changing diagnosis & hospital stay the week of Christmas. So much has changed since then. Both of our boys are silly, crazy, and growing way too fast. I am so proud of how both of them have done with all this D business. Ollie is getting so good at communicating to us how he is feeling low/high and what a difference that makes vs. always guessing what was going on in the beginning when he was only 17 mo. and brings me peace of mind being in another part of the house now as he comes yelling "MY PUMP BEEEEEEPIN!" when the CGM alerts. While Cooper is very patient, kind, and caring beyond the ripe old age of 6. This month in the car as Oliver's pump was low alerting. Cooper said, "Sometimes I wish Ollie didn't have diabetes." (I was calmly freaking out wondering where this conversation was headed) Oliver said innocently, "Why Coopa?" Cooper looked surprised, paused and said, "Oh....um never mind." At the time I was thankful the conversation ended there. When Cooper and I were alone later I asked him about his feelings and why he said never mind. He said he thought that Ollie didn't understand when he said that and he didn't want to make him sad. We talked about how Ollie doesn't know anything different. I told him that he is so lucky to have an amazing brother like you Coop who loves him so much. Cooper said, "I'm the lucky one having Ollie for a brother." Cooper just inspires me. For a few years now every December I have written a letter about someone in our community that could use some extra help or cheer to a local radio station's Christmas Wish. This year, for the first time, I wrote a wish for our kid and for supplies to continue making pump packs to donate all year around (as at times my sanity seems to come from you ladies on here and my local D mom's who have taught me to sew). My heart pounded as I received a surprise phone call from a local radio D.J. telling us our Christmas "wish" was granted. Oliver was even on the radio! It was more than I could have imagined. We spent the actual anniversary date at the station, meeting the D.J. 's, taking some pics and the kids got to "play" with the mic! And soon we will be back to making packs to donate but with a bigger goal this year as I learned that our endo team there has about 100 newly diagnosed kiddo's per year, working with 800 total. It was a wonderful way to spend this season. Still there are moments when it hits you again, but much more fun with lots of happy tears this time around! 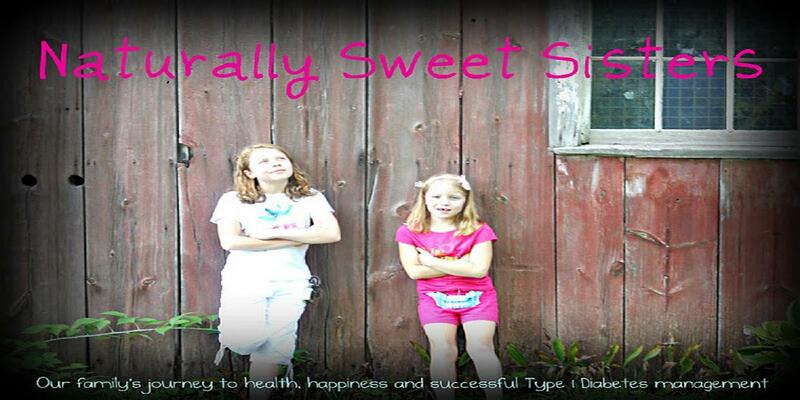 Thank you Tracy for allowing Naturally Sweet Sisters to be a part of your diaversary story. I think I speak for everyone when I say how moving and touching the glimpse into your home is. You are inspirational! Thanks for helping so many families start off in the right direction and also, for reminding of us all of the good that come from a very difficult situation.